Virtual assistants are becoming more and more essential to today’s business world – whether established or a start-up, the benefits of hiring virtual assistants to get tasks you need to get done quickly are huge for enterprise today. It’s a new field – and it’s starting to be a booming one. Adding a VA or two to your team could help you get a strong edge over the competition. Are you trying to be a superhero and do it all? Are you starting to feel a bit of burnout? That’s only natural. Whether you’re a WAHM or an entrepreneur (or both), fatigue hits us all eventually. That’s where hiring a VA comes in. They are there to save the day, save your time, and save – most importantly – your sanity. Hiring a VA for short-term large projects, or on a longer-term basis, could yield immeasurably large results for your business (and your life). Unfortunately, you can’t hire one VA to do absolutely everything you want to achieve. You may need to hire a few different types depending upon what they specialize in. For example, if you need help with graphics, hiring a VA doesn’t mean he or she will be able to provide genuine help. You must specialize to get the results you’re looking for. Hire VA’s with specific skill sets – whether administrative, technical, or general. The secret to getting the most out of working with a VA? Clear communication and hiring VA’s with the skill set you really need. Choose wisely, set clear expectations, read VA reviews (such as we have at Fourerr), and clearly vet anyone you end up bringing on board so that you’re sure you get the most out of your experience working with virtual assistants. You may end up discussing VA’s with others who have tried them and not been thrilled. The problem? They haven’t been as clear and specific as is necessary in dealing with this unique skill set. Above, we briefly discussed what you can outsource to a VA. Let’s delve a bit more into detail. There’s a whole world out there of highly skilled workers eager to get the job done for you – so you can focus on larger picture stuff. 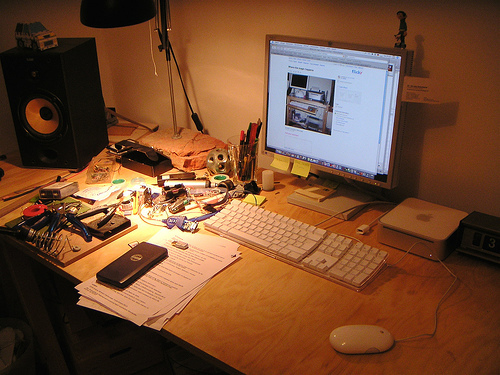 Online collaboration software is becoming as important as the wrist watch once was. If you’re not on it already, it’s well time to join the club. Software, or apps, can really help you manage your VA team and get the most for your money. At Fourerr, we highly recommend Dropbox, Google Docs (allows for group collaboration on a wide range of documents, spreadsheets and presentation materials), Skype (helps you stay in touch with your VA as needed, for free) and Trello (a mostly free project management app that can really work wonders). 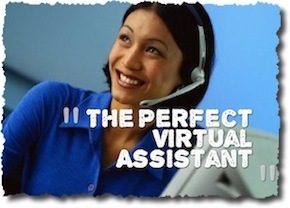 How Much To Pay Your Virtual Assistant? A full, or even part-time, VA can end up costing a significant amount of money each month when you bring someone on board with your team (just as with any employee). Regardless of your VA’s country of origin, costs add up (and fast). At Fourerr, you can hire qualified, vetted VA’s to complete specific tasks for you at fees starting at just $4. We recommend our website as your first stop in finding your perfect virtual assistant to help bring your business – and lifestyle – up to the next level.